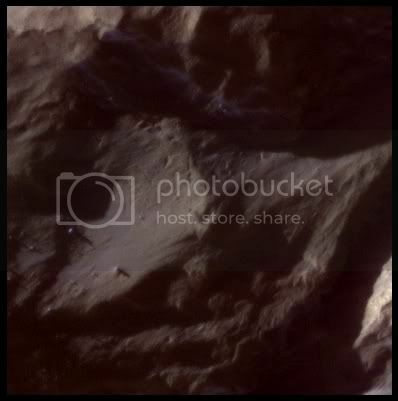 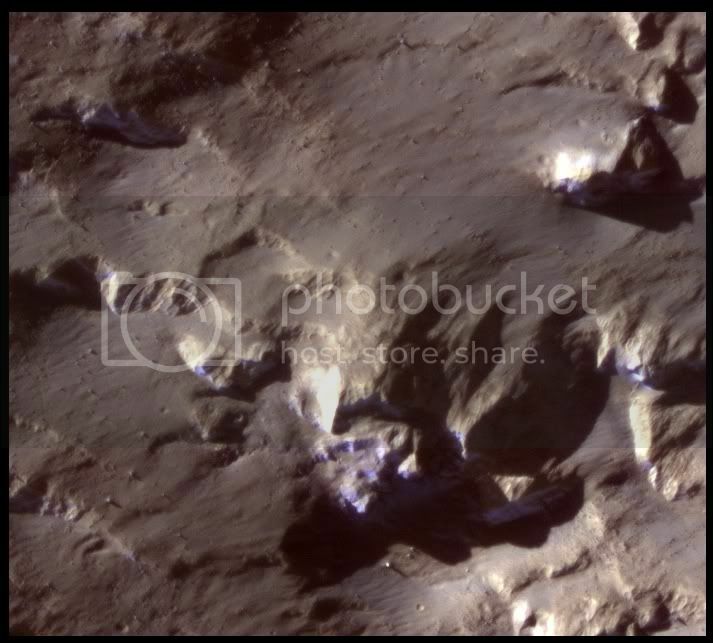 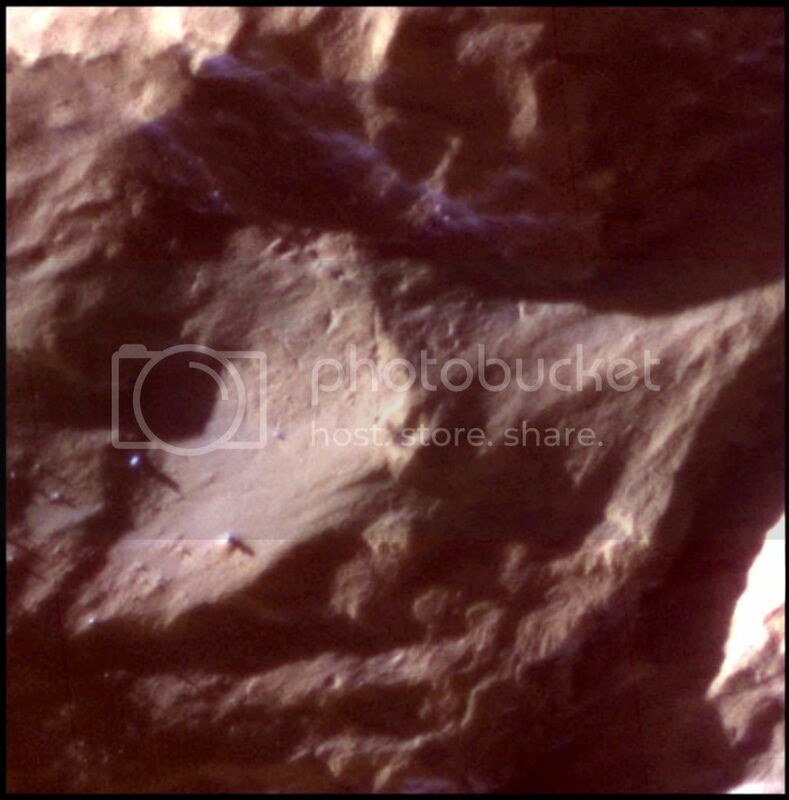 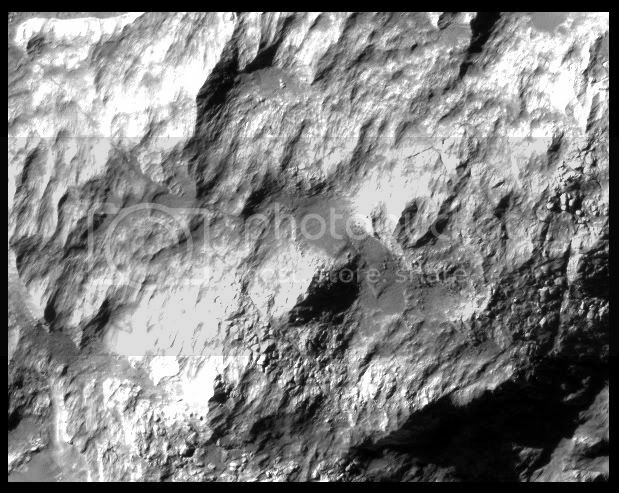 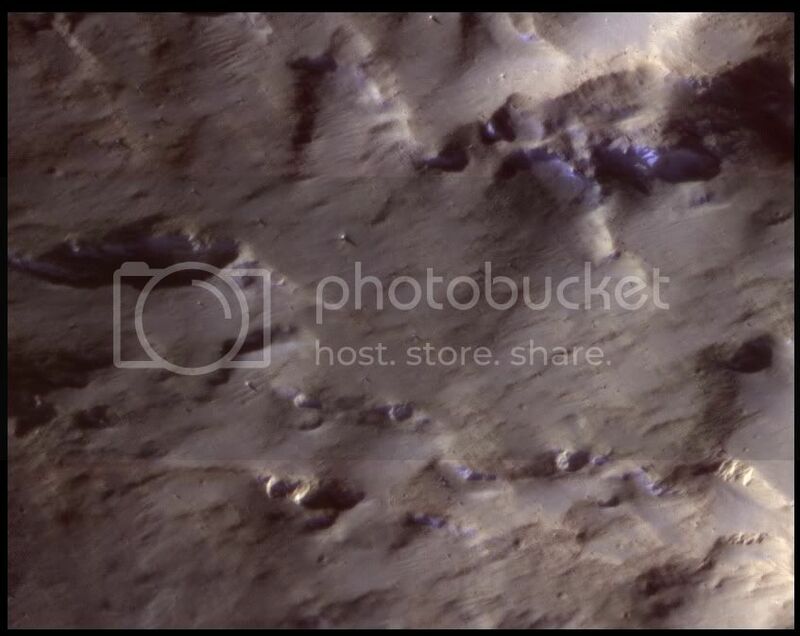 This feature is located in the Hirise image: PSP 010281 1510. 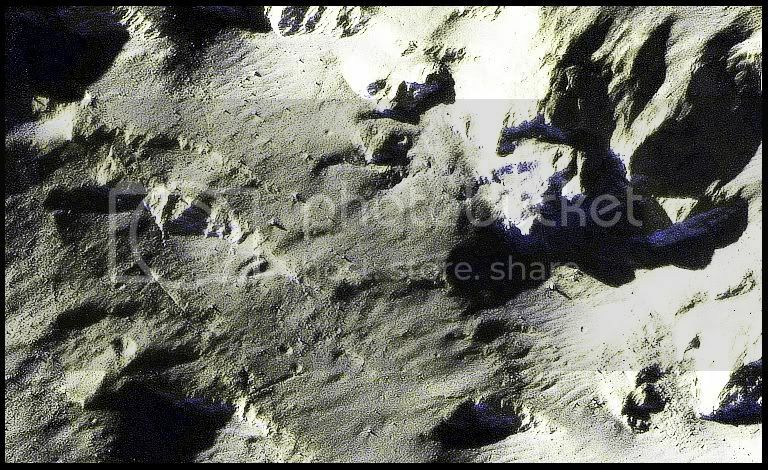 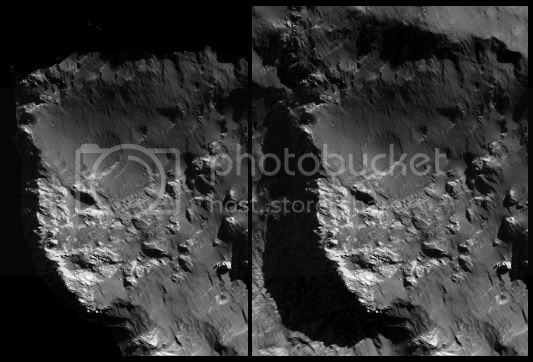 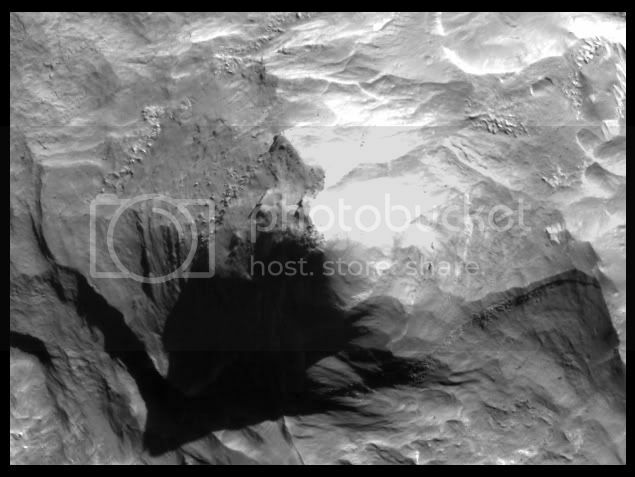 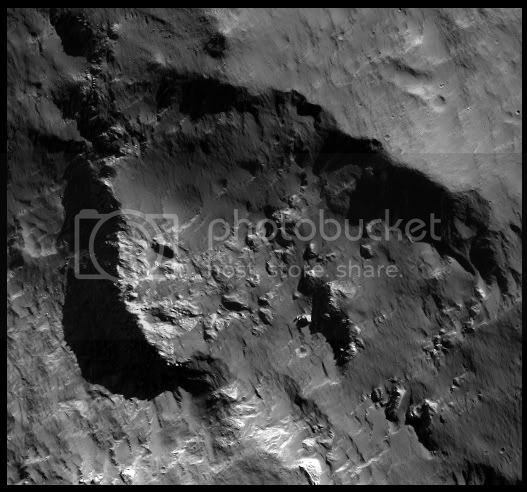 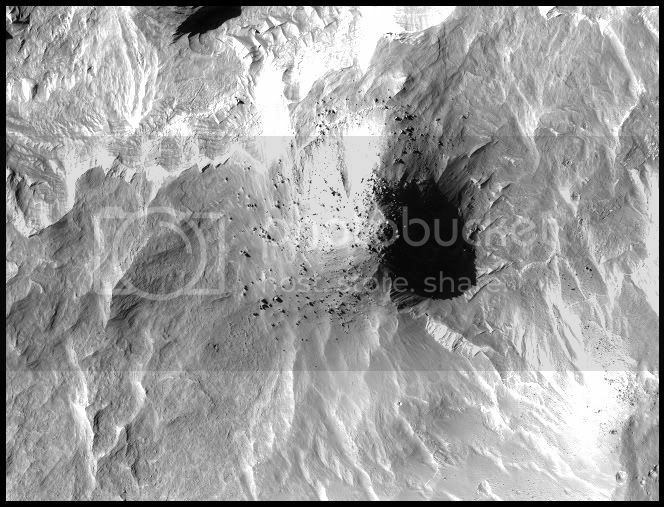 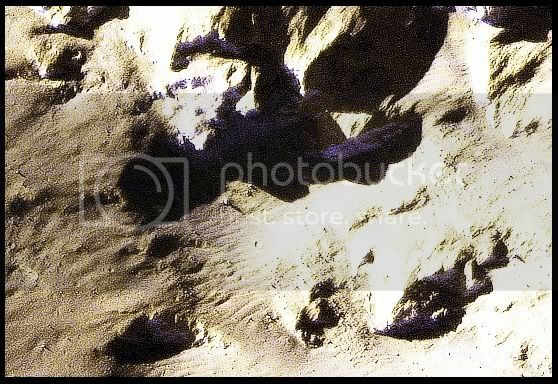 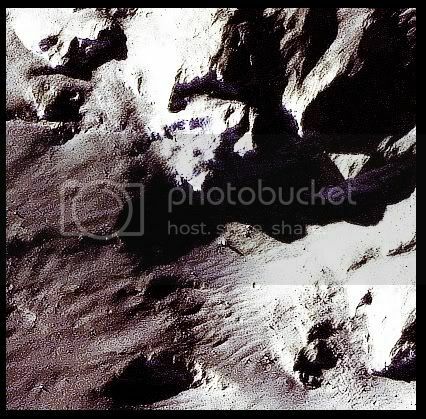 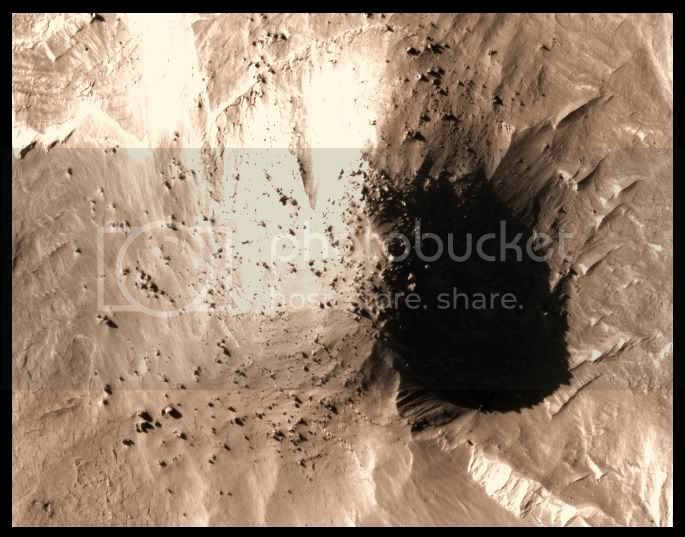 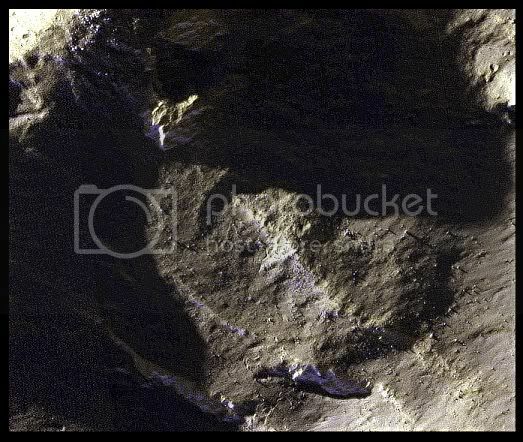 The image covers a portion of an ancient crater called "Columbus Crater." 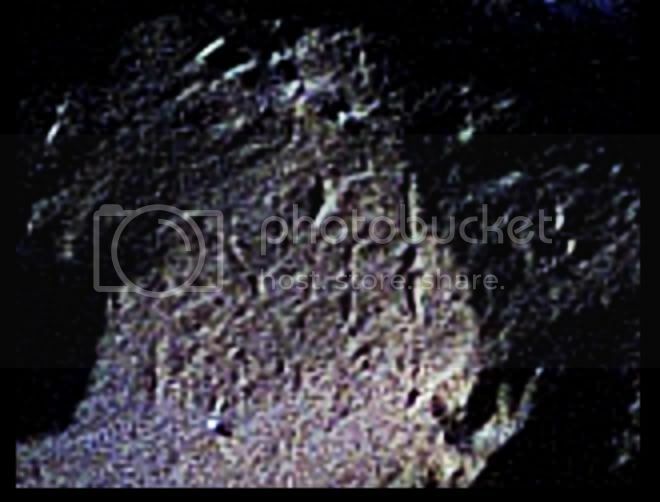 Columbus crater is particularly interesting to scientists because CRISM data they have collected indicates the presence of hydrated materials, clay, and sand. 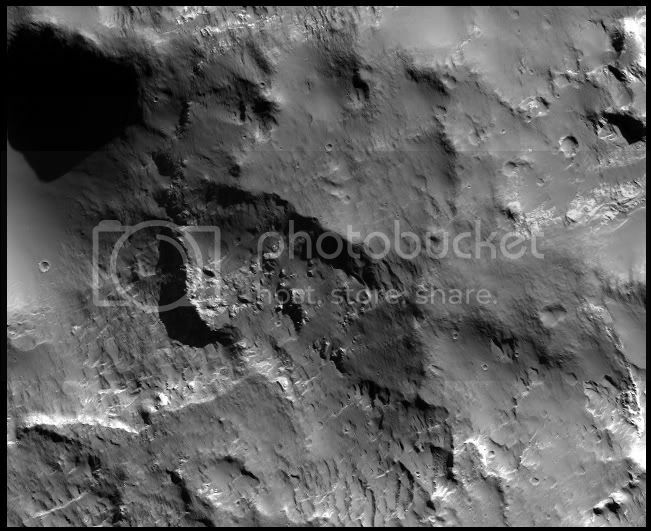 It is believed that this crater is the site of ancient lakes that once existed on the surface of Mars. 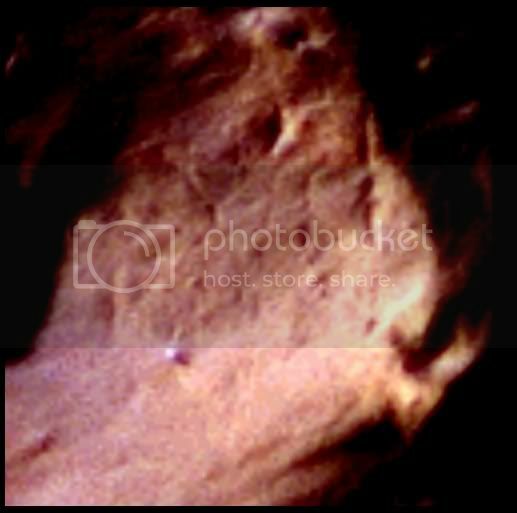 The split appearance that we see in this well-lit face of the gridded pyramid is much like the split faces of the Great Pyramid of Giza, Egypt. 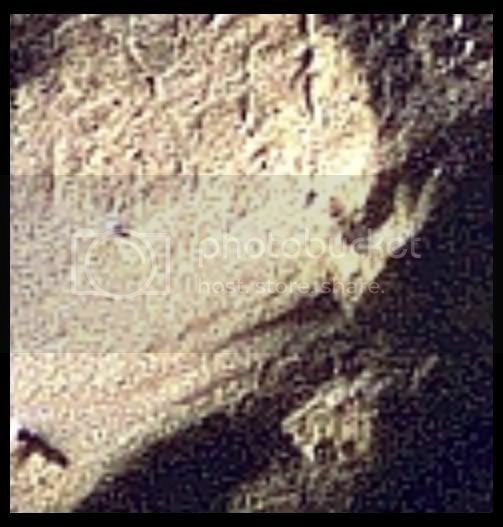 The split-nature of the faces of the Great Pyramid (as well as its concavity) are invisible from the ground, so it had not been noticed until that time. 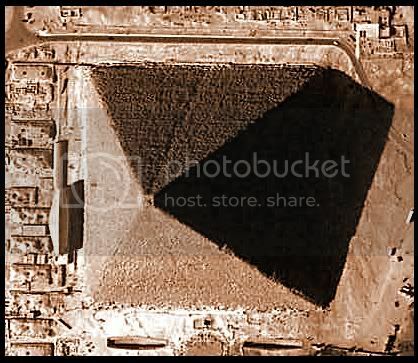 Just below the apex of the gridded pyramid, there is another interesting form. This object seems to have smooth and regular surfaces which are distinct from the surface of the pyramid. 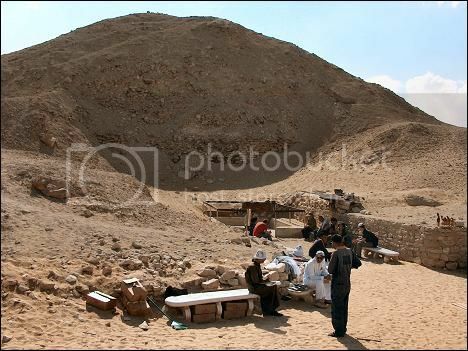 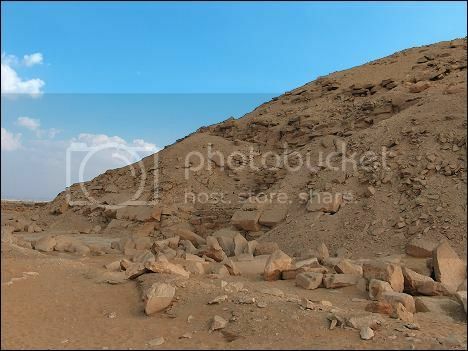 Ancient Egyptian pyramids show similar wear patterns. 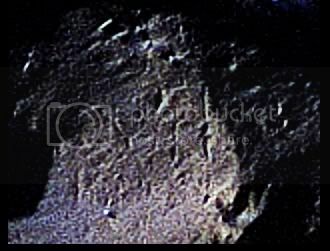 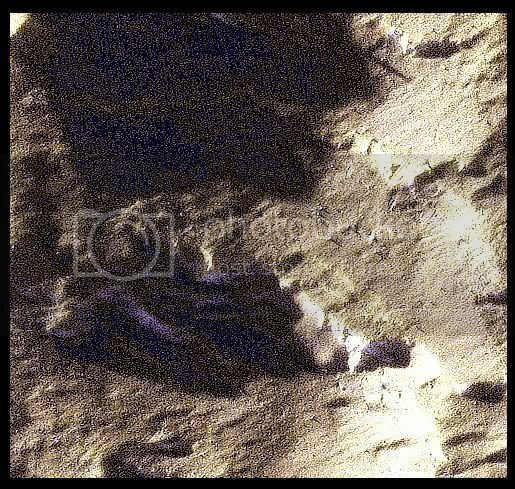 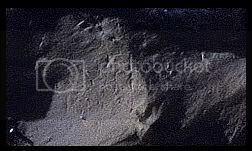 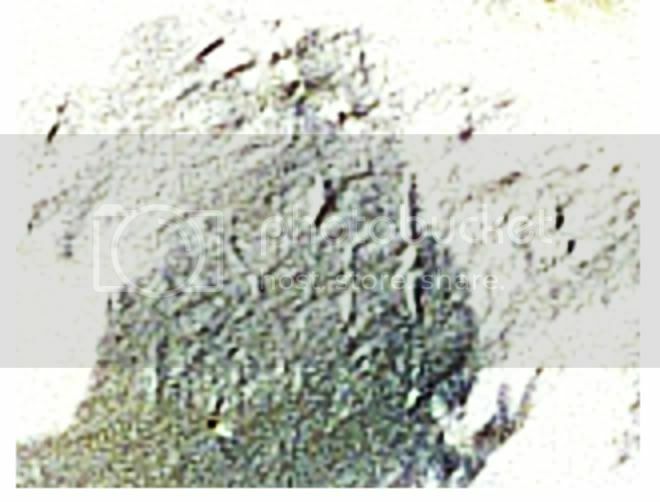 Better examples of close-up debris patterns may be found on Wayne Herschel's website. 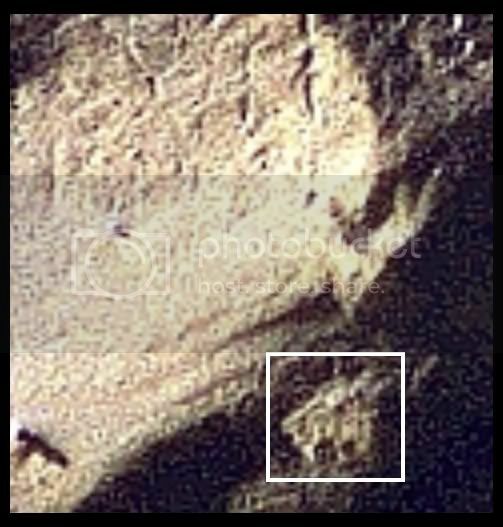 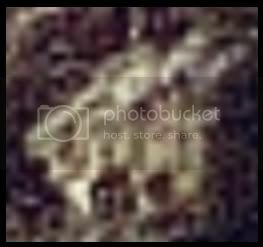 Wayne Herschel has advanced this theory with regard to the face at Cydonia. If the gridding is a natural geologic occurrence, I would expect to find similar grids in the nearby landscape. 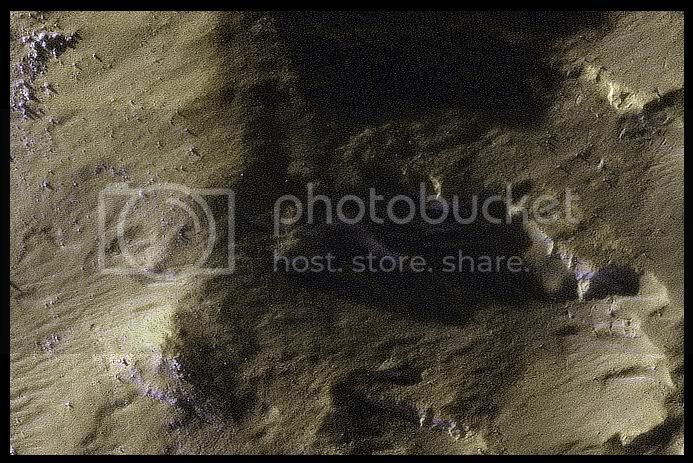 I have found no other grids in the area. 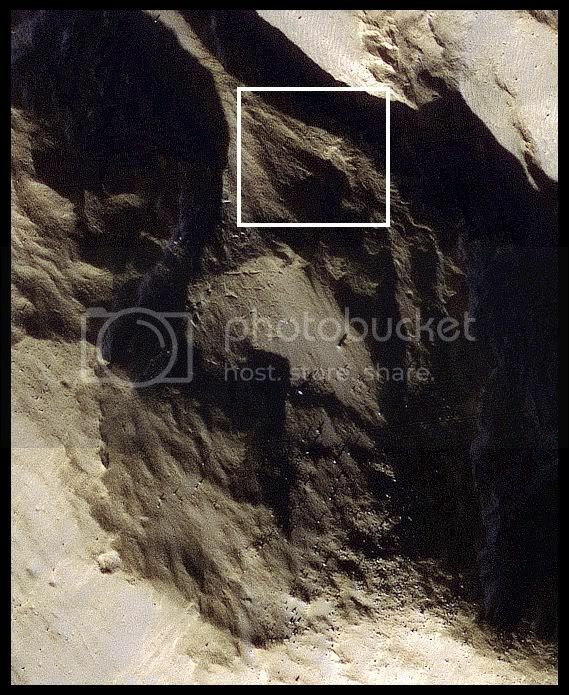 However, I have found straight lines which may compare to some extent with the grid. 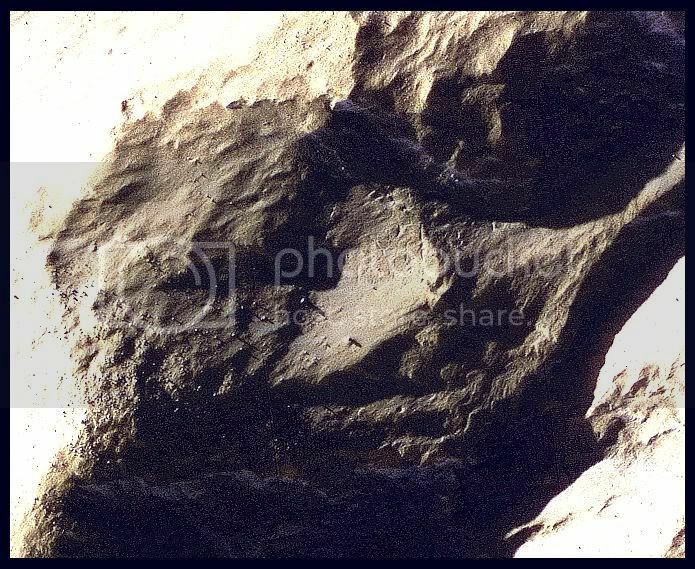 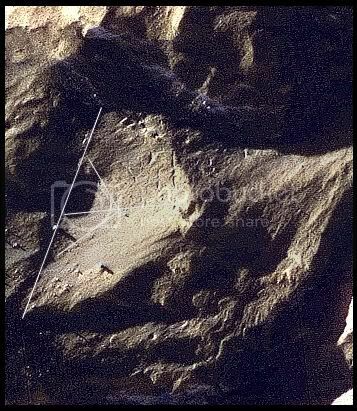 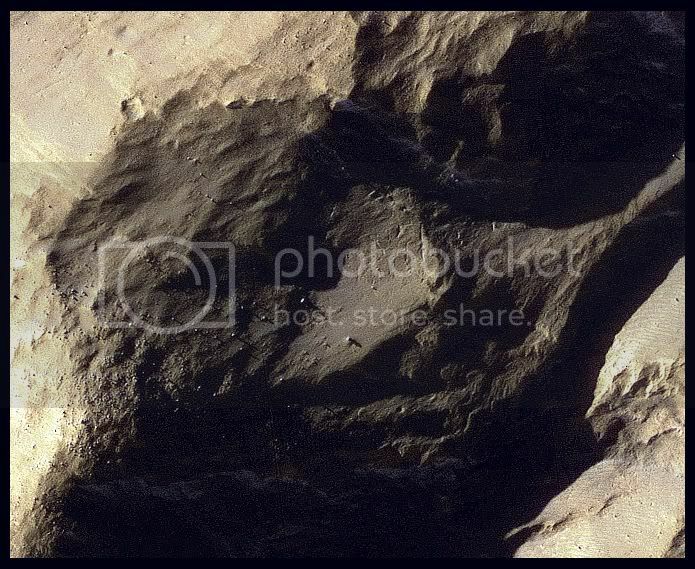 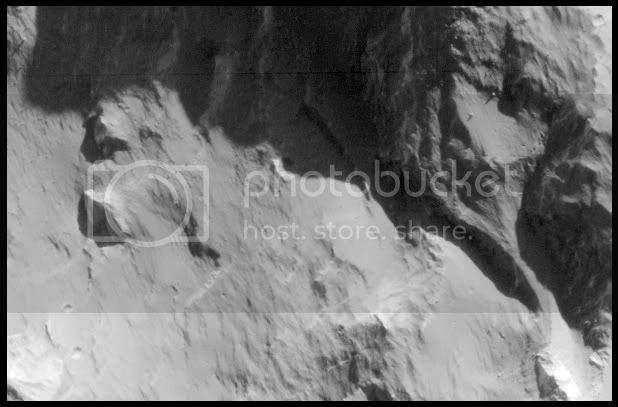 These straight lines cutting throught the rock can be found in two other locations. 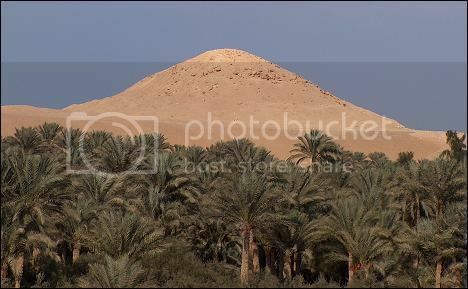 If the gridded pyramid is accepted as artificially created, then the landscape faces may have been artificially created as well. 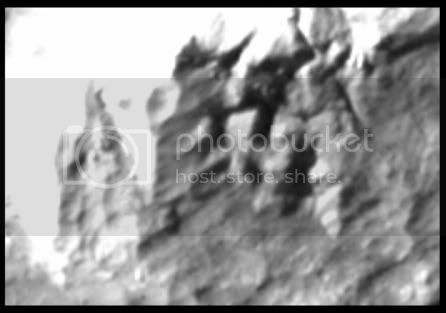 I think this find is significant in that the close proximity of the landscape face to the gridded pyramid lends credence to that idea. 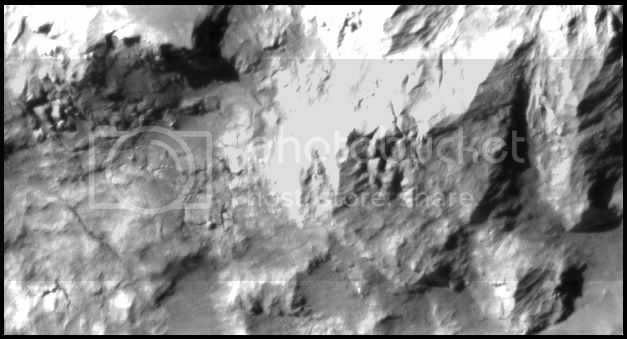 And if this is all true, then our best way to study the ancient culture of Mars (until we can go there) is through the analysis of the landscape faces which we find nearly everywhere on its surface.